Make The Most Special Day Last Forever With Our Luxury Limo Services in Mississauga! An anniversary or a proposal is an event that you will never forget. With this eventful moment or time in your life you want to make it as romantic and memorable as possible. With Limo Service Mississauga, we strive to give you the best atmosphere for your eventful time out with your significant other. Our services are none other when it comes to a nice limo ride out on the town. With our great limos and customer service, you can be certain that this milestone in your life will be an event you will love and cherish forever. Here is some great attributes about us that you will find refreshing when it comes to your anniversary or proposal. When it comes to this grand event in your life, we only have the best in limos to fit this occasion. Our fleet is full of limousines that you can choose from. Either the traditional sleek black limo or the exotic antique car, no matter the detail or provision, we can provide you with top of the line limos to fit your needs and wants for this eventful occasion. When you have finally determined what limo you want, the outside is only matched to the inside of the limousine. All of our great limos are fully equipped with a full bar and dim lighting. Along with these great features, the also have full internet access, flat screen televisions, as well as a full phone line to the outside. With these great attributes, you will be able to wine and dine your significant other while either enjoying your anniversary, or waiting to drop that big question of marriage. No matter the occasion, we will give you your privacy while you enjoy every moment with your loved one. This only shows that we want to assist you with every detail to ensure that your time is spent with your loved one. We know that every detail is extremely important to you when it comes to the occasion. Our fully trained and expert staff is here to see that every detail is followed through. Our drivers are well dressed and maintained giving you the full experience of luxury and indulgence. This gives you more time to concentrate on your event and enjoy yourself with your loved one. With all of these great surroundings, you will be able to create a memory that will leave a lasting impression on you and your significant other. With our state of the art limos, and the wonderful customer services, you can be sure that your anniversary or proposal will be an event to remember. Our limos set the mood for you as you either pop the big question, or enjoy that twenty fifth year with your loved one. No matter your details, you will fully enjoy an evening of excitement, love, and complete privacy. 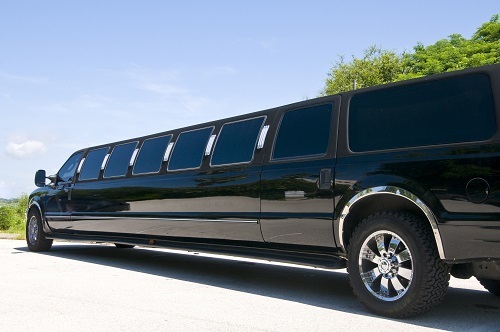 Limo Service Mississauga is here to make this magical event special and distinct. Call or click today to start your next big event.